A workshop that explores various forms of life writing: memoir, autobiography, biographical fiction, personal essays, hybrid texts, etc. 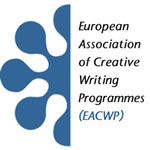 The workshop will involve writing exercises, feedback, reading and analysing published examples of life writing. O workshop explora várias formas de Life Writing: livro de memórias, autobiografia, ficção biográfica, ensaios pessoais, textos híbridos, etc. O workshop implica exercícios de escrita, feedback, leitura e análise de exemplos de Life Writing publicados. Through a series of writing exercises participants will experiment with various forms of life writing, exploring the techniques involved in each. We will also examine the relationship between autobiography and fictional techniques. By reading and analysing different examples of published life writing we will gain a greater understanding of the forms and how to work across them. Através de uma série de exercícios de escrita os participantes irão experimentar várias formas de Life Writing, explorando as técnicas de cada uma dessas formas. Vamos examinar igualmente a relação entre autobiografia e técnicas de ficção. Através da leitura e análise de diferentes textos publicados de Life Writing vamos ganhar uma maior compreensão das diferentes formas e de como trabalhar com as mesmas. To gain a greater understanding of life writing forms through analysis and examine the relationships between life writing and fiction. Obter uma maior compreensão das formas de Life Writing através da sua análise e observação das relações entre Life Writing e ficção. This workshop is open to anyone at any level of writing experience in English who is interesting in writing from life. Este workshop destina-se a todos os interessados em Life Writing, independentemente do nível de experiência de escrita em Inglês. Reading and analysing life writing to help understand the different forms. 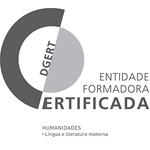 Leitura e análise de Life Writing para melhorar a compreensão das suas diferentes formas.